Yes, they are still in trend and you better give them a second chance! I am talking about SKINNY JEANS trend. Frankly speaking, they never left us. I guess no one will ever kill this trend. Why? They are flattering, easy to wear and style. Plus, this denim comes in lots of cool variations, like ripped, cropped, high-waisted, acid wash, printed, etc. But still, there are days, when we feel like there is nothing to wear with this denim. 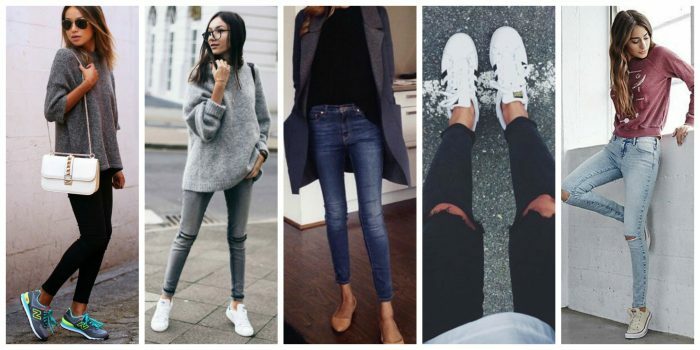 You are a lucky one, as I have great inspirational outfit ideas on how to wear skinny jeans.